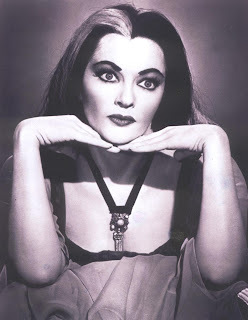 Actress Yvonne De Carlo, the sultry Vancouver born brunette who was Moses' wife Sephora in Cecil B. DeMille's "The Ten Commandments," but achieved her lasting fame on television comedy "The Munsters," has died. She was 84. De Carlo, born Peggy Yvonne Middleton, died of natural causes Monday at the Motion Picture & Television Hospital in the Calabasas-Woodland Hills border, longtime friend and television producer Kevin Burns said Wednesday.